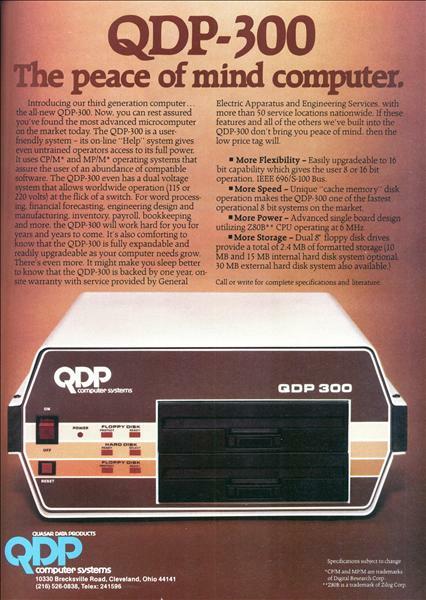 Introducing our third generation computer... the all-new QDP-300. Now, you can rest assured you've found the most advanced microcomputer on the market today The QDP-300 is a user-friendly system - its on-line "Help" system gives even untrained operators access to its full power. Introducing the Sony small business computer system. 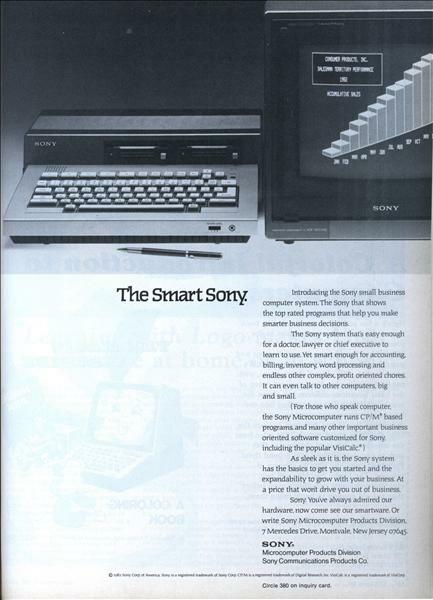 The Sony that shows the top rated programs that help you make smarter business decisions. The Sony system that's easy enough for a doctor, lawyer or chief executive to learn to use. Yet smart enough for accounting, billing, inventory word processing and endless other complex, profit oriented chores. It can even talk to other computers, big and small. 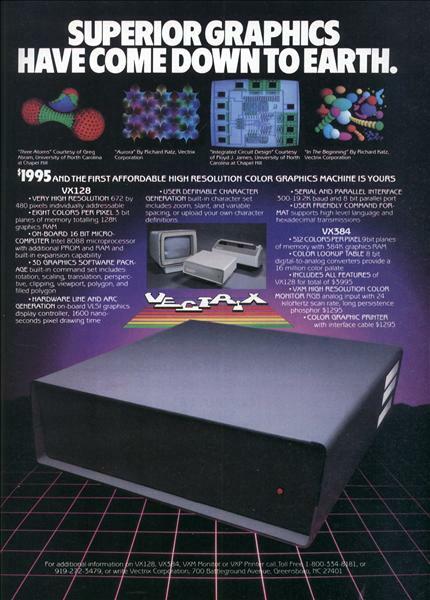 $1995 AND THE FIRST AFFORDABLE HIGH RESOLUTION COLOR GRAPHICS MACHINE 15 YOURS VX128 • VERY HIGH RESOLUTION 672 by 480 pixels individually addressable. • EIGHT COLORS PER PIXEL 3 bit planes of memory totalling 128K graphics RAM. • ON-BOARD 16 BIT MICROCOMPUTER Intel 8088 microprocessor with additional PROM and RAM and built-in expansion capability. Here's a fun and educational coloring book to introduce your home computer to the youngest members of your family. 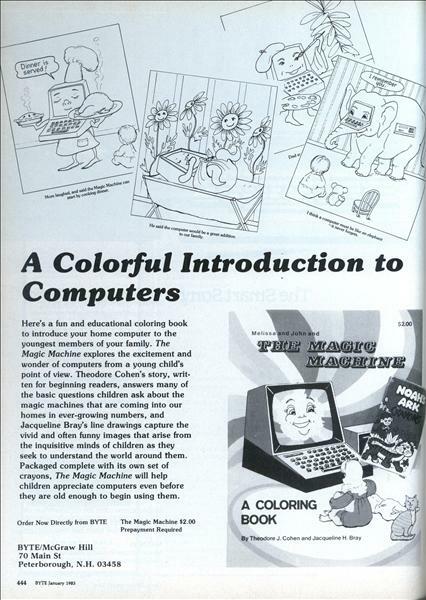 The Magic Machine explores the excitement and wonder of computers from a young child's point of view. 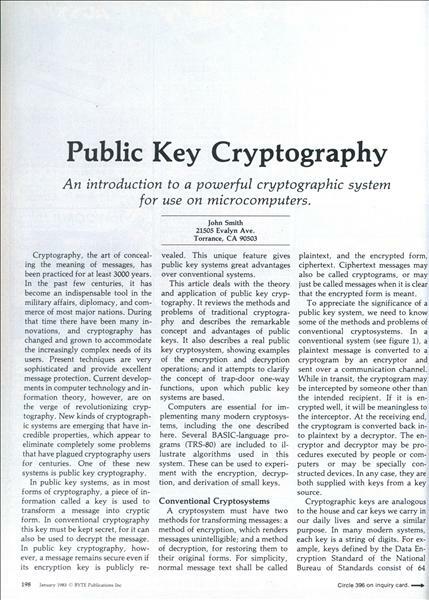 An introduction to a powerful cryptographic system for use on microcomputers. John Smith 21505 Evalyn Ave. Torrance, CA 90503 Cryptography, the art of concealing the meaning of messages, has been practiced for at least 3000 years. In the past few centuries, it has become an indispensable tool in the military affairs, diplomacy, and commerce of most major nations. 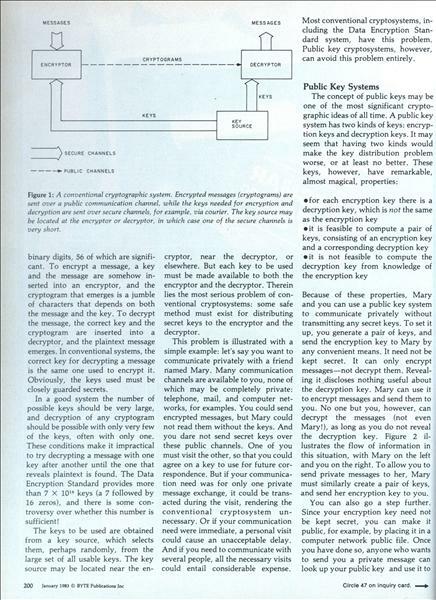 During that time there have been many innovations, and cryptography has changed and grown to accommodate the increasingly complex needs of its users. Present techniques are very sophisticated and provide excellent message protection. Current developments in computer technology and information theory, however, are on the verge of revolutionizing cryptography. New kinds of cryptographic systems are emerging that have incredible properties, which appear to eliminate completely some problems that have plagued cryptography users for centuries. One of these new systems is public key cryptography. 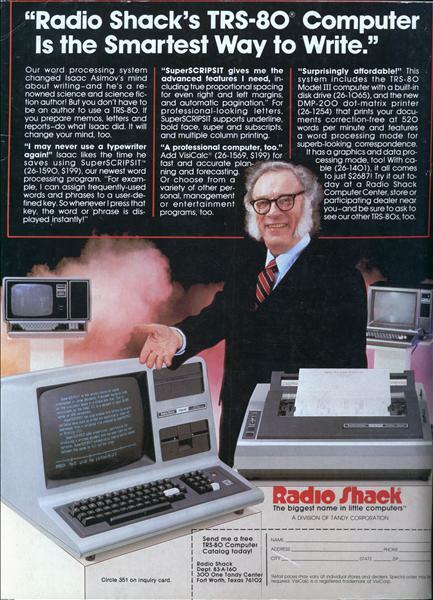 "Radio Shack's TRS-80 Computer Is the Smartest Way to Write"
MULTIPROCESSOR WITH 64 BIT PROCESSING POWER. Dazzled by 16-bit and 32-bit machines? When it comes to multiuser applications you've got to talk about TOTAL processing power. Not just the number of bits on a single processor. 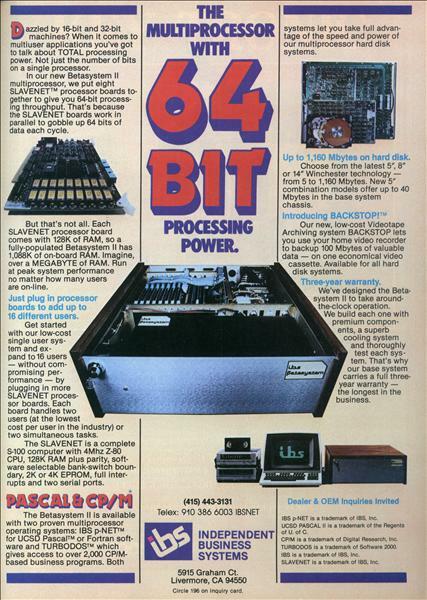 In our new Betasystem II multiprocessor, we put eight SLAVENETâ„¢ processor boards together to give you 64-bit processing throughput. That's because the SLAVENET boards work in parallel to gobble up 64 bits of data each cycle. 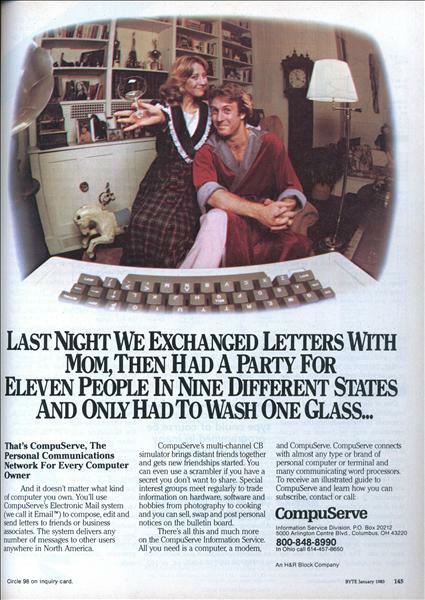 Compuserve Trademarked the Word "Email"
That's CompuServe, The Personal Communications Network For Every Computer Owner And it doesn't matter what kind of computer you own. You'll use CompuServe's Electronic Mail system (we call it Emailâ„¢) to compose, edit and send letters to friends or business associates. The system delivers any number of messages to other users anywhere in North America. The Fifth Personal Computer World Show by Gregg Williams, Senior Editor Quick: what's the most microcomputer-hungry country in the world? The United States, of course, right? We've got Silicon Valley and Route 128 (recently dubbed Technology Highway) near Boston. We've got BYTE, Apple, Atari, and IBM. True enough, but Britain has the people and it has a lot more than we do. 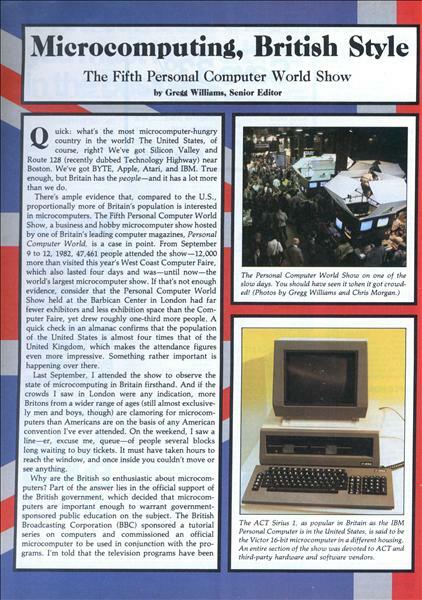 There's ample evidence that, compared to the U.S., proportionally more of Britain's population is interested in microcomputers. 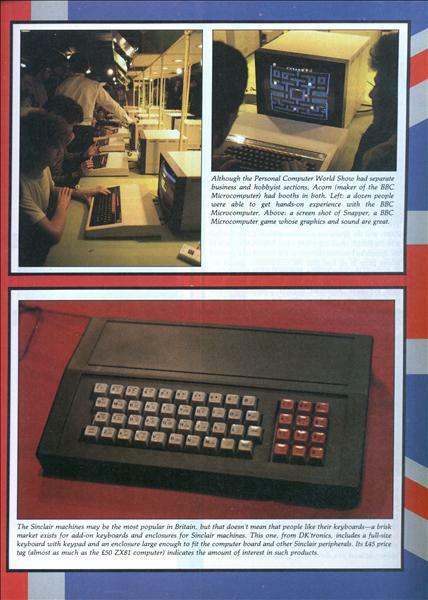 The Fifth Personal Computer World Show, a business and hobby microcomputer show hosted by one of Britain's leading computer magazines, Personal Computer World, is a case in point. From September 9 to 12, 1982, 47,461 people attended the showâ€”12,000 more than visited this year's West Coast Computer Faire, which also lasted four days and wasâ€”until nowâ€”the world's largest microcomputer show. 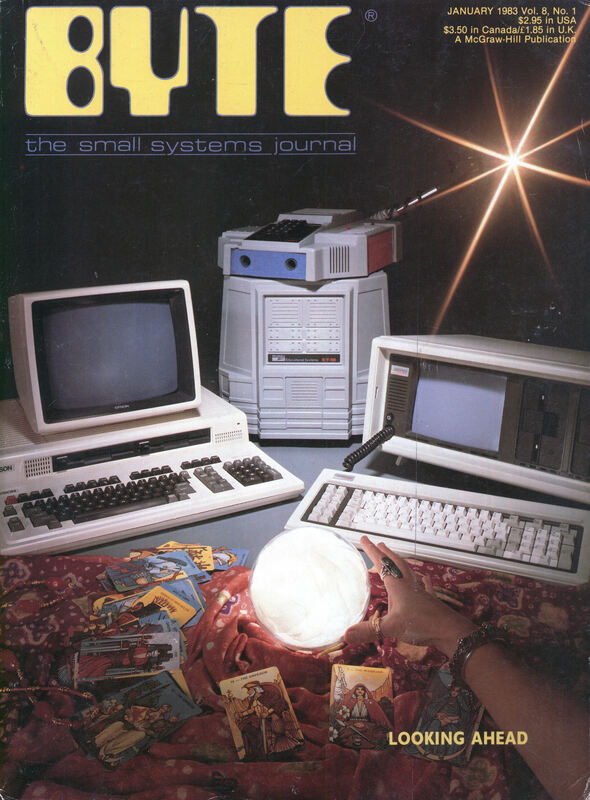 A portable and affordable alternative to the IBM Personal Computer. Mark Dahmke Consulting Editor What emulates an IBM Personal Computer, can easily be carried from place to place, and costs a lot less than the competition? 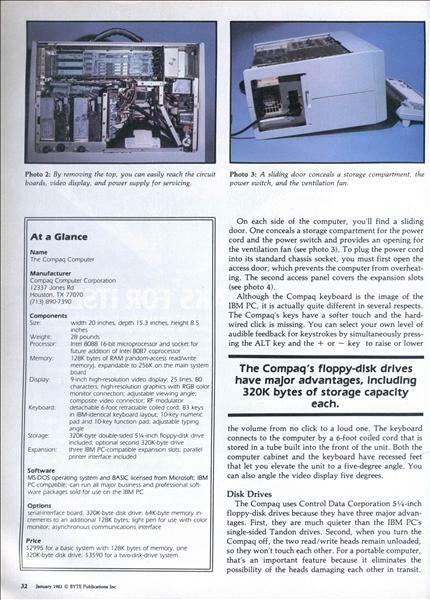 The Compaq computer, and because it can run any major business and professional software written for the IBM PC, it looks like a sure winner. 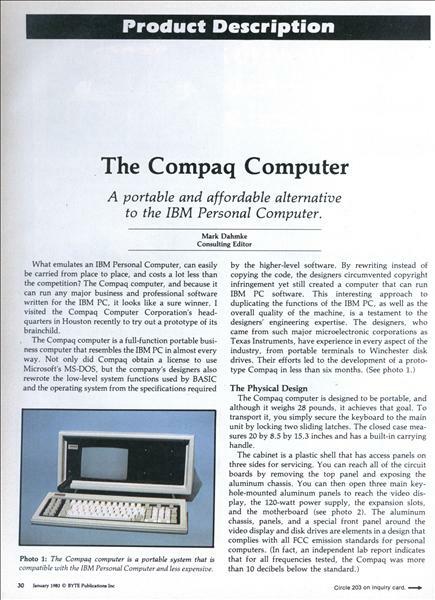 I visited the Compaq Computer Corporation's headquarters in Houston recently to try out a prototype of its brainchild.